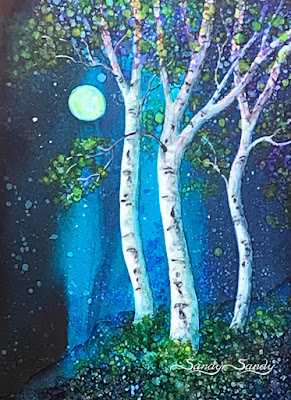 This is a 5 x 7" painting on Yupo paper, matted to 8 x 10" - It is a Birch Tree / Pour Lesson - for tomorrow's Sandarosa Studio Class - "To mask, or not to mask, that is the question".... Both techniques will be demonstrated and practiced. 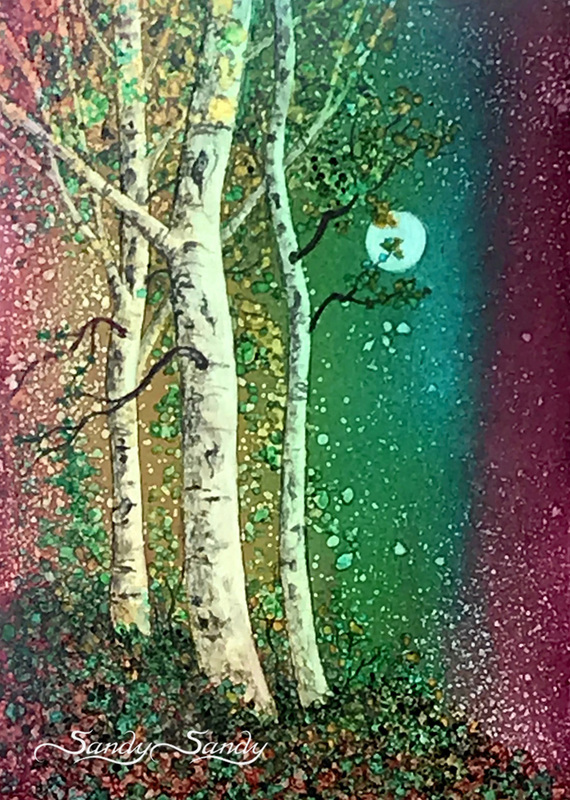 These trees were done by masking the trees before pouring the background. 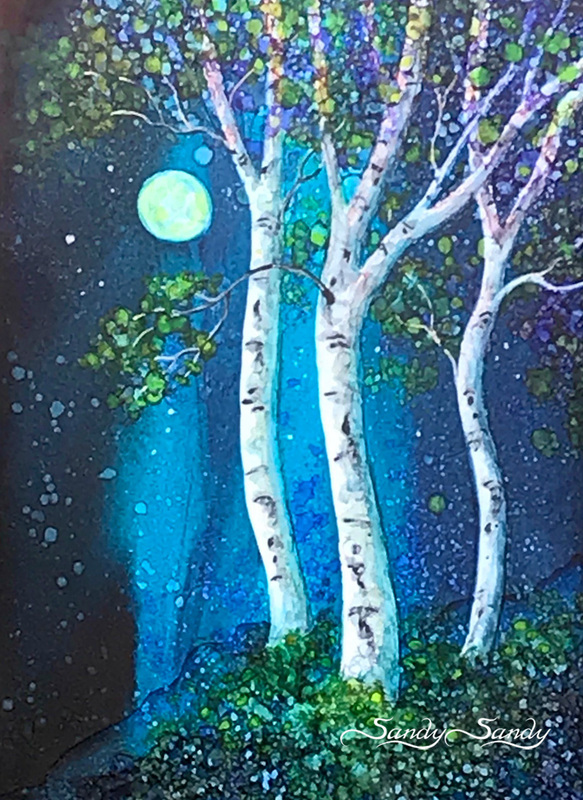 These trees were done without masking by lifting the ink from the poured ink background. 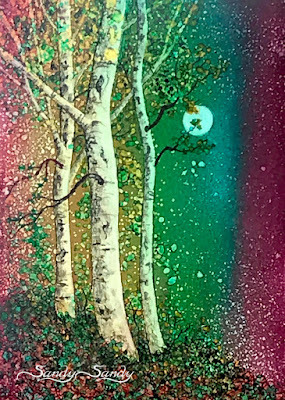 Registration for enrollment in the 2018 Fall Session of my online alcohol ink ecourse, the Fundamentals of alcohol Ink, opens Saturday, Sept. 22nd at 9:54 pm, EDT to coincide with this year's Fall Equinox. The purchase of the full course or individual weeks comes with lifetime enrollment! Go HERE for more detailed information.